Brain fog might not be a technical term but we’ll bet you’ve heard of it and likely have experienced it. But what exactly is brain fog and why do we experience it? To answer the latter question we have to look at individual physiology. What causes brain fog from one person to another and even from one day to another is unique. In our almost free four week Digestion Course we teach you how to look at your own physiology and how to interpret that information. Simple tests like blood pressure, breath rate and urine and saliva pH can provide a ton of information about what’s going with you on a metabolic level. Once you have this information you can figure out what steps you can take to improve your frog brain, I mean brain fog. Listen in as Tony, Will and Kinna answer your questions! How caffeine works to clear the fog for some people, but can make it worse for others. Why would some get brain fog after eating? How minerals can buffer blood pressure when blood sugar is low. Why the body will prioritize digestion. Is dyslexia a form of brain fog? Why high ammonia levels can hinder cognitive actions. Why blood pressure is important to monitor. 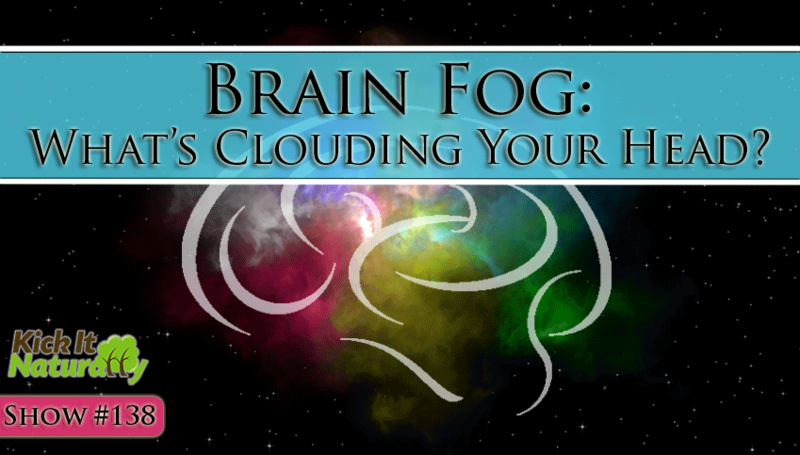 There are many causes of brain fog and therefore many ways to improve.